The Water Department is responsible for the planning, programming, construction, maintenance and operations of the town's water, wastewater and stormwater. Please contact our office by phone -or- you can print out the 4 forms below. To apply for service you will need to bring the first 3 completed forms along with the appropriate deposit (See Fee Schedule) and supporting documents (Copy of Rental/Lease Agreement/Warranty Deed) to our office. We look forward to serving your water/sewer/garbage needs. Listed below, you will find our current Public Works Policies & Procedures, Schedule of Rates & Charges, and Water/Sewer/Garbage Billing Rates. Click on the document to view. If you do not find the information you need, please contact our office and we will provide it for you. Our community's water meters are read each month between the 15th and 19th. Please contact our office for any additional information. 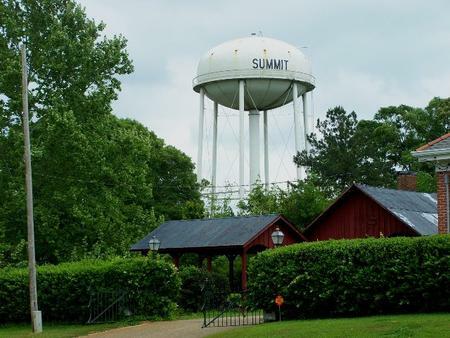 Town of Summit offers a wide variety of convenient payment options for our customers. Simply choose the option that best suits your needs. The worry-free way to pay your water bill. With this service, the amount of your monthly bill is automatically deducted from your bank account and credited to your utility account. This credit is done on the 10th of the month. There is no set-up fee or charge associated with this method of payment. To set up Automated Bank Draft, simply download and fill out the Bank Draft Authorization Form (pdf) and drop it off or mail it to our office, along with a voided check. You may pay your bill in person at our office address. We accept cash, check, or money orders. To avoid longer wait times, please note that Mondays, Fridays and the first day after a holiday are normally very busy. We also offer a convenient drive-up secure drop box in the rear of the Town Hall building. We are proud to announce that you can pay your bill online! Click here to start the process.